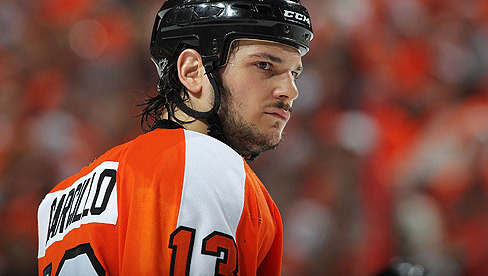 On December 5th in 2009, Philadelphia Flyers goon Daniel Carcillo sucker punched Matt Bradley of the Washington Capitals with five minutes remaining in the first period and the teams tied 1-1. Carcillo received 29 minutes in penalties on the play (Bradley drew nothing) with the NHL adding a four game suspension, forcing the Flyer to forgo $43,597 in pay. Washington scored three times on the ensuing 9 minute powerplay and ultimately beat Philadelphia by a score of 8-2.